The Southco new sealed C2 Lever Latch gives the same consistent compression and vibration resistance as the standard C2 Series, but also features a sealed design that meets NEMA 4 and IP65 standards for water and dust protection. This makes it suitable for use outdoors and indoors. 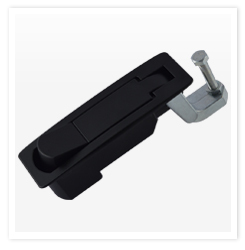 The sealed C2 Lever Latch meets ingress protection requirements without having to adjust current panel or door designs, and is an ideal answer for new installations as well as retrofits.